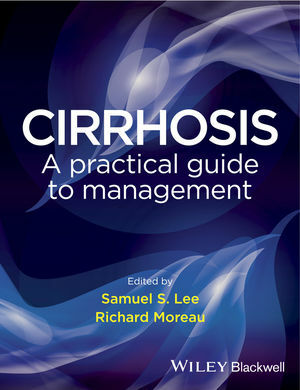 Cirrhosis: a practical guide to management provides gastroenterologists and hepatologists with an up-to-date clinical guide presenting the very best evidence-based practice in the diagnosis, treatment and management of liver cirrhosis and its many complications. Designed to offer practical guidance at all times, it provides doctors with an extremely useful tool in the clinical setting, with each chapter featuring diagnostic/management algorithms, key points and other pedagogic features. Aimed at the specialist, as well as the practicing trainee at the top-end of specialty training, the emphasis throughout is on providing optimum clinical management guidance most relevant to practicing hepatologists and gastroenterologists, and is an invaluable guide to this increasingly common condition. Samuel S. Lee, MD, Professor, Department of Medicine and Head, Division of Gastroenterology, University of Calgary, Canada. Sam Lee is one of the world’s leading lights on cirrhosis and is editor-in-chief of the Wiley journal Liver International, the official journal of the International Association for the Study of the Liver. Richard Moreau, MD, Head and Director of Research at the National Institute of Health (Inserm), Paris, France.